Yoga can restore your natural equilibrium, if practised well and attentively. My aim is to guide you to that experience. My classes are appropriate for all ages and yoga backgrounds. My yoga classes have a slightly different approach to classical Hatha Yoga. Scaravelli inspired yoga feels very natural. Movement is natural. Erling’s natural yoga approach can enable you to fully experience yourself during your yoga practice. This happens because we focus on how we feel, the sensations in all our movements, our neurological map is revealed to us. How well we move in yoga postures or asana depends on it. Classical yoga tends to make the asana the final objective because it has an end purpose. Scaravelli yoga takes a more pragmatic and anatomical approach. Vanda Scaravelli pioneered this way and inspired many yoga teachers to follow her. She thought that gravity played its part and encouraged students to let go and go with it. Feeling is essential in Scaravelli yoga, noticing the sensations the central nervous system provide you. Listening provides the framework to how you respond to sensory input. We work the lines of support your bones provide. This structure supports the fluid body and when don’t have to use the bigger external muscles less they release and relax. And it is when there is less tension that you find more movement, your spine is able to move more freely. Freedom has always been the goal in yoga. Our bodies and minds are really quite miraculous aren’t they. ? Study any part of the body, or any of the body’s systems to witness this. For instance how the lungs function, how they integrate with the circulatory system, how they communicate and function with the nervous system. How each part or system supports and works on an astonishingly intricate and complex level with the other. In fact if we don’t have to split the body up anatomically, there is no ‘other’ part. In a healthy balanced body this is never the case. The body isn’t really a list of separate parts and names functioning independently of the rest. Every tiny part or region of the body communicates with the rest. It is all intimately integrated because the body is ‘one’. Connected, whole. The only way we perceive our bodies as separate parts or bits is through the thinking mind. We can create the space to be with the body and the mind as a whole during our yoga classes. There are postures, exercises and techniques developed by yogis and buddhas to help us drop the thinking mind. The mind that separates, judges and departmentalises. We have the chance to practice Yoga which can support this communicative, integrated structure we call Us! 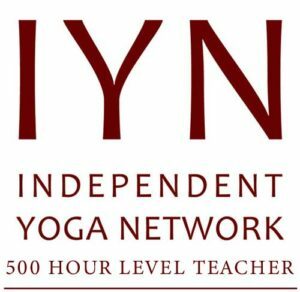 Translated the word Yoga is as ‘to yoke’, join or connect. The guidance of yoga will the let the body and mind do the thing they want to do! To restore themselves to their natural state of balance. Having been inspired by Vanda Scaravelli I was so pleased to find yoga teachers, Erling and Elaine at Isle of Yoga, that embrace this philosophy. Classes with Erling have been a wonderful learning experience. He has a deep understanding and passion for this living yoga practice and is a most patient and mindful teacher. Isle of Yoga is a very special place, warm and welcoming. Grazie mille Vanda Scaravelli and Erling – truly life changing. Hi Erling, Great class the other day. Felt full of space when I left…..pity I had to go to work and not just stay spaced out for the rest of the day ! Looking forward to Friday’s class.